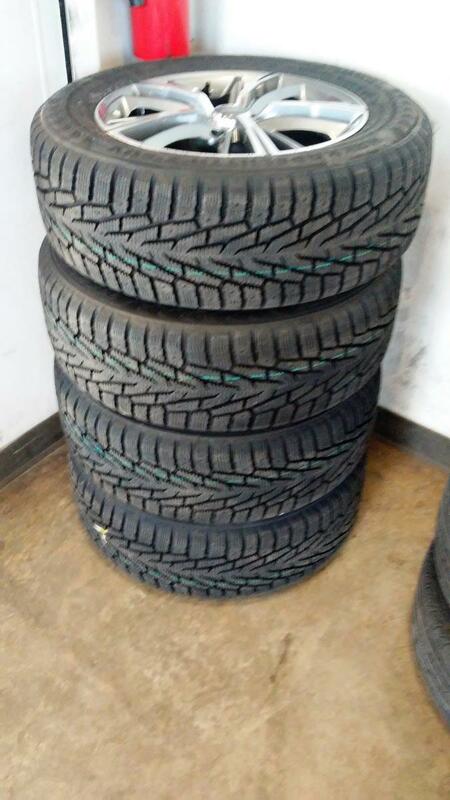 Hitting 30K miles on the OEM's and want to get the wife new tires heading into winter. Tire treads were at 5/32 in Sept. Any EX owners out there replace their OEM's? With what and how do you like them? I am looking at the Michelin Premier A/S and the Pirelli Cinturato P7 All Season Plus. Both rated very well by Tirerack. Not crazy about any of the tires in the Crossover/SUV category. Any thoughts about putting Grand Touring All-Season tires on this SUV? Although I have the SX with the 19's, I did replace my OEM's with a set of Grand-Touring All-Season Yokohama Avid Ascend GT's and so far I love them. Great in wet conditions and so far have done very well in ice/slush conditions. Never liked Pirelli's. Wear out way too fast. Had Yokohoma's on my previous car and liked them. Love my Nokian Hakkapeliitta winter tires and looking at maybe Continentals to replace the OEM's. Definitely going from the crazy 245.45.19 to a 225.60.17 like my winter setup. I can never see the 'Attached Thumbnail'. Can anyone see it? Seems like the website has changed since I joined. Last edited by Spike99; 11-16-2018 at 11:49 PM. I can see it just fine SSportage! bring up the picture if it's not showing. Which Hakkapeliitta's did you install? I'm looking at the R2 SUVs. This is from my Discount Tire receipt. Last edited by SSportage; 11-17-2018 at 02:21 PM. This is not an easy topic, and everyone seems to have a favorite. 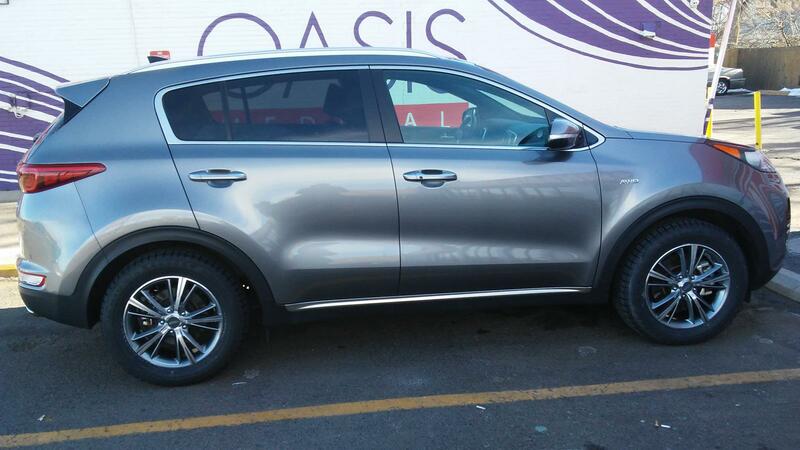 The Sportage is not a performance vehicle, so almost every non-budget tire will perform OK. I have not as yet changed the tires on my EX but have purchased a several hundred tires for my cars over the last several decades. Tirerack is a good place to look for ratings, but you should have a goal in mind. Do you want a quiet ride, or better wet handling, or better traction/performance. If you are going for an all season tire in PA (I used to live in NW NJ next to you), the Michelin Premier is excellent. Lot's of people dump on Goodyear, but for light trucks and SUV's, their tires are very good. The Pirelli P7's always seem to rate high, but my experience with Pirelli has not been good -- and I've purchased the P7's once for another car and it wore out fairly fast. I would listen to Tirerack and go with either the Goodyear Assurance or Michelin Premier for this car. Again, you don't have a performance car and I don't think you'll be disappointed with any of the higher rated tires -- even down to number 10. If you plan on doing a lot of very high speed driving (i.e., 85mph plus), you might want to go for the high performance all season tires. None of these tires will do as well in snow and slush as a dedicated winter tire, and Nokian is the absolute best, but pricey. Of course, you'll need another set of wheels. SSportage and Spike99 like this.